Neto submerges the listener in the vast inner landscapes of chill music with Aquatikon, the follow-up album to “Anomalies”, Neto’s minimal tech downtempo hip hop opus, and the debut release from Ektoplazm’s new downtempo sublabel, Omnitropic. This closely connected thematic album explores the levels below the surface of the world’s oceans, taking inspiration from mornings on the boat docks, sunrise on the pier, sailing in storms, and charting new territory. 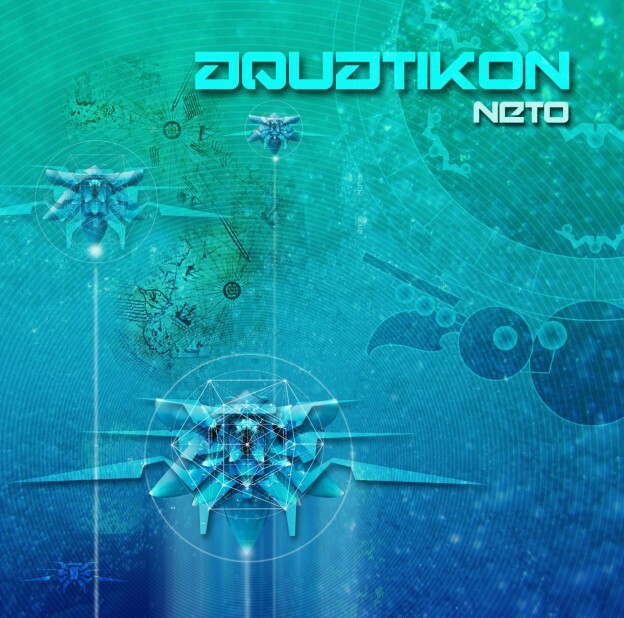 At times emotional, melodic, brooding, abstract, spacious, and open, Aquatikon is intended for the morning chill room, when you aren’t quite down, but you are wanting to level out, to get amniotic, to curl up and float into the waveforms. A distinct sonar sound used in dub effect is a fixture in each track, mimicking the navigational technology used by many underwater animals. This is music for neuronauts and mariners alike. Released by Omnitropic [OMNI 001]. This post was published October 29, 2009, 6:07 am and updated June 14, 2014, 6:18 am by Basilisk. Category: Releases. Artists: Neto. Styles: Downtempo.